Welcome to the new MP3Accompanist website. We're working towards making the site more user friendly, and enabling easier access to the MP3s we provide, on mobile and the web. We apologise sincerely, but for security reasons, we must ask that you change your password. We have the utmost concern for the privacy of your information, and in order to securely update the site without your passwords ever being converted to plain text, we have had to invalidate them. Just click sign in at the top right of the website along the black bar and click the forgot your password link. An email will be sent to you immediately with a password recovery link. Once you sign in you can change your password to one of your choice. You can now download your MP3s as many times as you'd like, and also listen to them on mobile devices over the web such as iPhones and iPads. We are working on an app that will allow you to download and play your music without a connection which we hope to release in the near future. 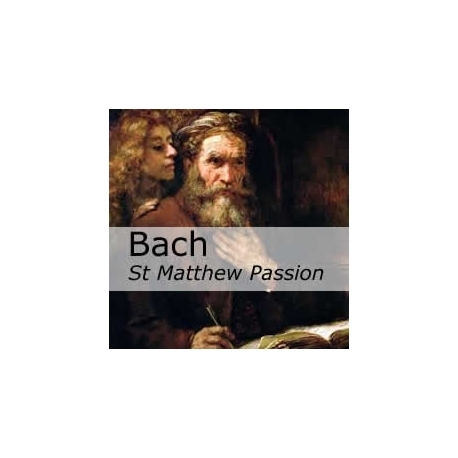 Johann Sebastian Bach, Oratorio, St Matthew Passion, Matthäuspassion, Matthäus-passion, BWV244, Aus Liebe will mein Heiland sterben, piano accompaniment. NB Hopefully we have left sufficient space after each pause in this aria. If the vocal line picks up after a pause without the accompaniment, the first vocal note is played to guide the singer back in. Please note: we can prepare any piano accompaniment for classical songs and opera arias in our catalogue in another key of your choice and at a tempo that better suits your needs. Simply notify us using our contact form. We look forward to hearing from you. Piano Accompaniments for Classical Songs and Opera Arias - mp3accompanist.com - the perfect accompaniment for the classical singer.